At Stabilize Physical Therapy in Newport Beach, each patient receives direct one-on-one care from a physical therapist for the full duration of their hour-long appointment. Stabilize is proud to be part of our community. The clinic opened in 2014 on Dover Drive under the ownership and direction of experienced physical therapist LC Gorham, PT, MPT. Our philosophy of care, inspired by LC's mentor Kirsten Sverdrup Robinson, emphasizes core strengthening and functional training. The therapist spends one full hour, one-on-one with each patient, because we know that our efforts translate to faster recovery. 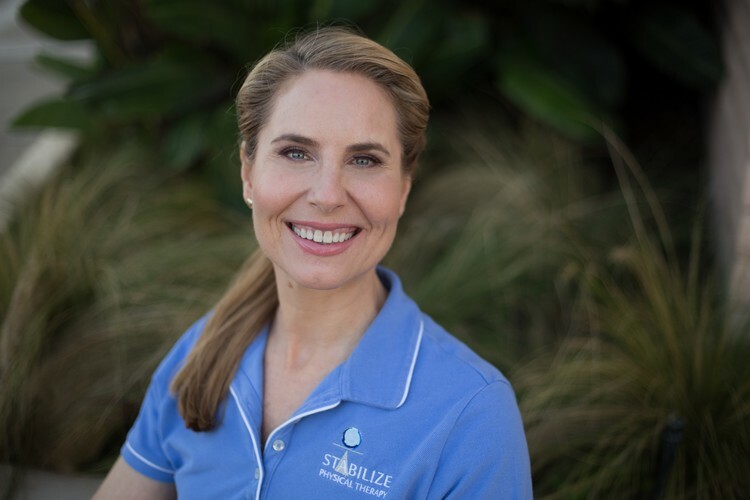 LC Gorham, PT, MPT, is the founder and principal therapist at Stabilize Physical Therapy. She earned her Bachelor of Science degree in biochemistry and molecular biology from the University of California, Santa Cruz. LC attended the Advanced Studies Teacher Training Program at the Iyengar Yoga Institute in San Francisco and was faculty yoga instructor at San Francisco State University for two years. She has earned the STOTT certifications to teach Pilates on the Mat, the Reformer, Cadillac, Chair, and Barrels equipment. She has been teaching Pilates in physical therapy clinics continuously since 2005. LC completed her Master’s Degree in Physical Therapy at California State University, Long Beach in 2009. During this time she headed a renowned master’s thesis project called “Core of Balance: A multifactorial intervention to reduce the risk of falling in a group of community dwelling older women.” The study looked at how core strengthening helps people with balance, and has been replicated several times at CSULB since this initial project. Immediately after graduating PT school, LC worked under the guidance of a powerful mentor, master physical therapist Kirsten Sverdrup Robinson. From 2009 to 2012, LC worked at Kirsten’s Redcord based PT clinic, Stand Tall Physical Therapy in Newport Beach, California. Kirsten and LC agreed on the philosophy that physical therapy should be done with one on one sessions, emphasizing core strengthening and functional training. With Kirsten’s passing in 2012, LC founded Stabilize Physical Therapy to continue Kirsten’s legacy of high quality, one on one physical therapy using the Redcord system. In 2014, Stabilize Physical Therapy moved to its current location on Dover Drive, in Newport Beach California. The clinic is the result of years of hard work and dedication, refining the method of healing injuries, teaching people how to move, and optimizing function. LC has over 16 years’ experience in teaching movement, and finds great joy and peace in healing her many patients and students. In addition to her personal Pilates and yoga practice, she enjoys surfing, dance, classic film, and classical Greek theater.